Summer fools us every year. We look forward to it, bracing ourselves against the cold, wind, and snow of the winter months. Soon!, we think, soon it will be Summer! We’ll feel more rested, less harried, more energetic, get outdoors more, and finally enjoy easy-going-summer-times with our kids. These happy thoughts buoy us through the madness of Spring, with sports schedules, concerts, and end of school year parties and ceremonies. Then summer comes, and it doesn’t take long to realize that our bucolic images of kids playing outside, getting along, coming up with creative and appropriate ways to pass the time, are not based in reality. New research suggests that parents are ready for summer break to end after 13 days. 13 days! That leaves, give or take, about 70 days of what seems like an endless, stress-filled summer. We realize that our kids don’t know how to manage the downtime, and we don’t, either. There is pressure to be relaxed, then guilt when there isn’t enough to do. Before we know it, we are in survival mode, just the same as we are during the school year. This blog post is going out to moms who may feel like I do- looking around at a home in disarray, at kids who have lost some of what they learned last year due to too much screen time (guilt! ), and the same ‘to-do’ list with which I started the summer. Even more alarming, there is a longing to return to the very same routine that we couldn’t wait to get out of a few short months ago (Nightly sports practices! Packing school lunches! Early, rushed, mornings!). For these reasons and more, I propose Self-Care September. Similar to New Years Resolutions, but with less pressure. 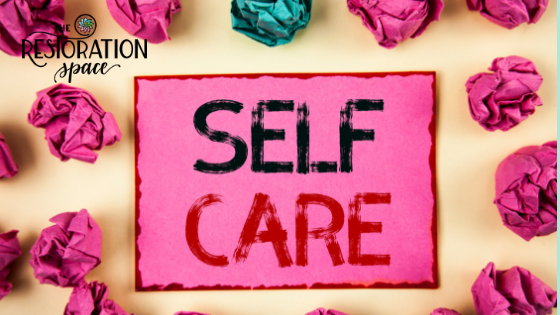 My definition of self-care is anything you do for your own physical and mental health and wellness, to maintain a healthy level of functioning, to support and promote your sense of purpose, meaning, and life satisfaction. I invite you to step off the hamster wheel of pressures, guilt, should-haves and could-haves and set a new intention for the Fall to be calmer, less frantic, and more at peace with your life as it is in this very moment. 1. Get back into a routine. Routine feels good for everyone, young and old. Routines help us feel more grounded, purposeful, in control and satisfied with our lives. Studies support these findings and go further to say that cognitive functioning improves and depression decreases when daily, healthy, routines are implemented. This means going to sleep and waking up on a regular schedule, daily physical exercise, regular meal times, and setting limits on electronic usage. 2. Schedule time for YOU, with friends, solo, or with your partner. Look ahead for concerts, a book reading, or movies that interest you and put it on your calendar. If you don’t schedule it, it will never happen. Likewise for dinner dates with friends or your spouse. If you prefer solo time, without judgement, do something that makes you feel good. It can be a haircut, massage, nap, getting ice cream in the middle of the afternoon. But ideally it will be guilt-free and solely for the purpose of enjoying the moment. Kids enjoy moments like this every day, several times a day! We deserve the same care and attention. 3. Connect with others. This does not mean amping up your texting game. There is no substitute for face to face connection. In fact, those who are most ‘connected’ via social media, report the highest rates of loneliness, according to neurobiologists. Again and again, I am struck by the relief that comes from a face-to-face authentic conversation with a trusted friend. We are social creatures who are wired for connection with others. 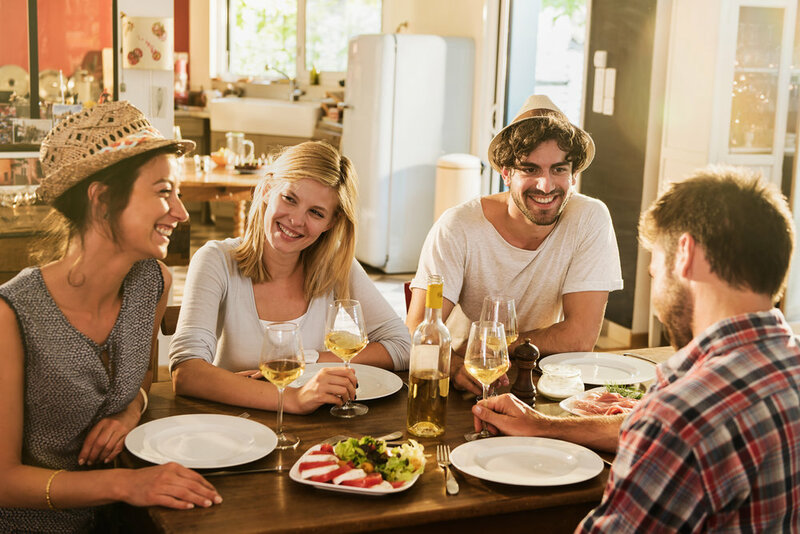 Get together with a friend, or a mom from school or playgroup, and rediscover the comfort in the gift of connecting through the relatable ups and downs of the day or week. 4. Breathe. We take breathing for granted, but the truth is that it is one of our most powerful tools to lower stress, and can help regulate our hormones, digestion, heartbeat, and mood. Studies support that deep breathing aids in alleviating everything from Anxiety and Depression to PTSD. Here’s a simple exercise to bring awareness to your breath, allowing you to be mindful, centered, and present, regardless of what’s causing chaos in your life. Sit with one hand on your belly and one hand on your chest. Inhale slowly through your nose and feel your belly rise (like an inflating balloon), while your chest remains fairly still. Exhale slowly through your mouth, for twice as long as your inhalation. Repeat 3-4 times. 5. Practice Mindfulness. Mindfulness is our ability to be fully present, aware of where we are and what we’re doing, without reacting or being overwhelmed by what’s going on around us. It allows us to be more attuned to the present, rather than worrying about the future or fixating on something that happened in the past. A simple mindfulness exercise for those days when you feel yourself becoming frazzled and overwhelmed: find a quiet space and sit still. Take a few moments to identify what exactly is bothering you. Often times we can trace it back to a single moment or interaction. Identify the issue, make note of it and why it is bothering you. If there is action you can take to address the issue, do so. If there’s nothing you can do, acknowledge that this is beyond your control, and instead, transfer that energy into something positive, that you CAN do. This simple act of stopping, identifying the source of your frustration, and taking action, will free your mind to be more present, centered, and focused. This can be repeated throughout the day as needed. Summer flew by (it ended up feeling more like 13 days long, after all). September will likely be the same. It’s easy to fall into the trap of worrying about every-day obligations and schedules. It’s easy to lose track of the big picture of time passing and seasons changing. Time does go quickly, especially when we are swept up in daily chaos. It is a gift both to our kids and ourselves to be more mindful and present, but we are only capable of doing so when we are prioritizing our own health and wellness.